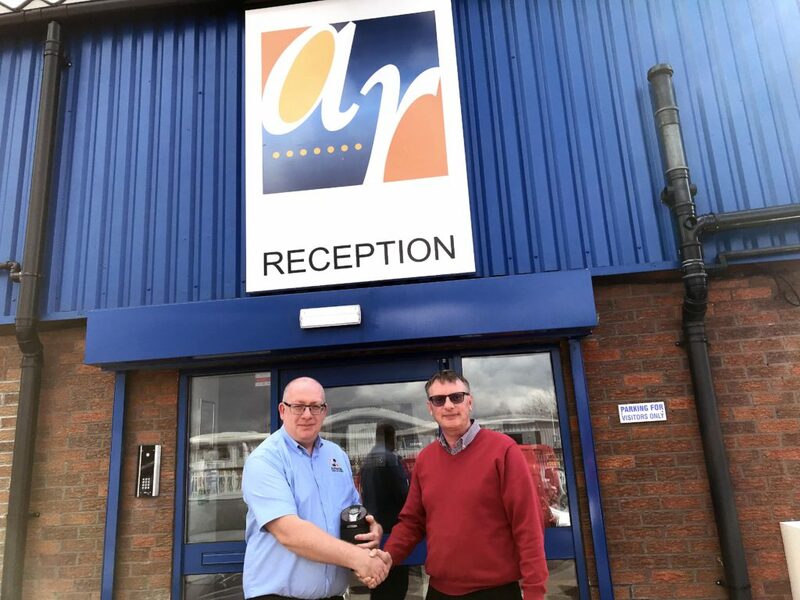 Paul joined the Huthwaite based metal railings and gates specialists back in April 1998, when the firm operated out of its old factory on Urban Road in Kirkby-in-Ashfield and has remained part of the Alpha Rail sales team ever since. Throughout his tenure, Paul has played a major role in the completion of some of Alpha Rail’s most notable projects including the Athletes Village for the London 2012 Olympics, the restoration of the original Jack Hobbs gates at the Kia Oval cricket ground, as well as local projects such as the Forest Recreation Ground in Nottingham. To celebrate his anniversary and long service, Paul was presented with a new watch by Sales Director, Phil Ball. Alpha Rail has been manufacturing metal railings, gates and pedestrian guardrail for over 30 years, and is proud to be one of the UK’s leading manufacturers of bespoke metalwork. Many employees have been a part of Alpha Rail for years, which shows true commitment and pride in the jobs they do – everyone shares the same common goal of delivering exceptional customer service as well as an end product that is guaranteed to impress. During its 30 years of manufacturing, Alpha Rail has worked on numerous projects within different sectors such as new build housing estates and park restorations.